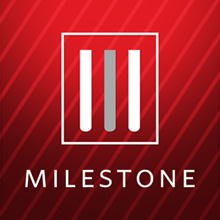 About Milestone: M ilestone is an experienced court reporting firm with a professional approach. Our court reporters range from young associates who are ready to put in the long hours, to seasoned veterans who have seen just about every court reporting issue you can imagine. In short, our court reporting firm looks a lot like your law firm. Accurate, Hard-Working and Always On Time Court Reporters can change the course of your litigation. From cost to availability, the court reporter you choose will fundamentally alter how your case unfolds. Milestone Reporting Company, the premier Orlando court reporting company, provides unique solutions to your deposition, transcription, and legal video deposition needs. Real People. Real World Experience. At Keiron Partners, our team of advisors is focused like a laser on your financial future. They’re experienced, effective, and local. We’re not an 800-number and we’re certainly not robo-advisors run by algortithms.